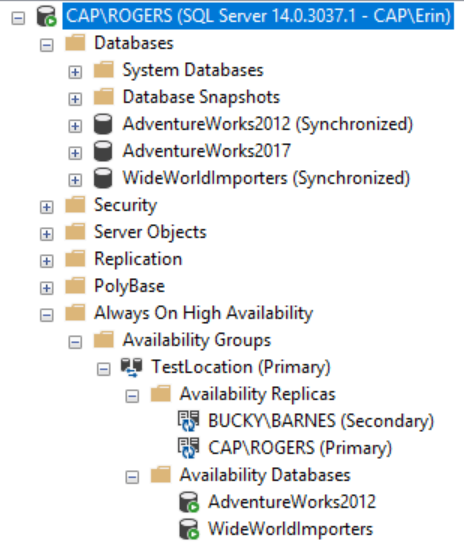 I recently had a scenario in a two-node Availability Group where multiple large-batch modification queries were executed and created a large redo queue on the replica. The storage on the replica is slower than that on the primary (not a desired scenario, but it is what it is) and the secondary has fallen behind before, but this time it was to the point where it made more sense remove the database from the replica and re-initialize, rather than wait several hours for it to catch up. What I’m about detail is not an ideal solution. In fact, your solution should be architected to avoid this scenario entirely (storage of equal capability for all involved nodes is essential). But, stuff happens (e.g., a secondary database unexpectedly pausing), and the goal was to get the replica synchronized again with no downtime. You can still access WideWorldImporters as it’s part of the AG and using the Listener. The system is still available, but I’m playing without a net. If the primary goes down, I will have not have access to the WideWorldImporters database. In this specific case, this was a risk I was willing to take (again, because the time to restore the database was less than the time it would take the secondary to catch up). Also note that because this database is in an Availability Group by itself, the transaction log will be truncated when it’s backed up. Depending on how long this takes, at some point I disable the jobs that run differential or log backups on the primary (CAP), and then manually kick off a differential backup on the primary (CAP). 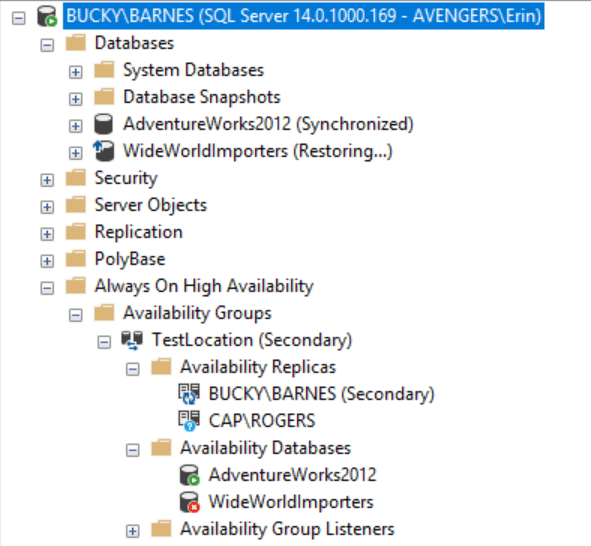 At this point, the database is re-initialized and ready to be added back to the Availability Group. 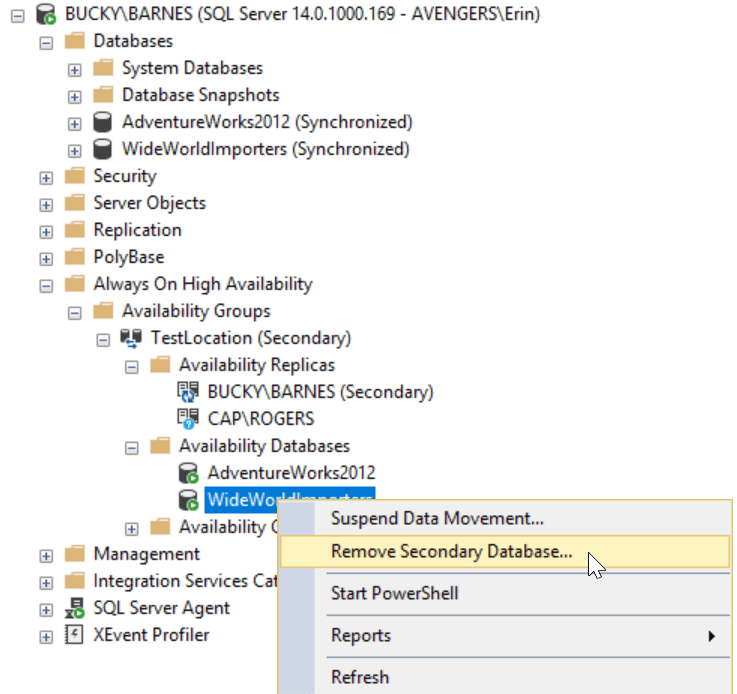 Once the databases are synchronized, make sure to re-enable the jobs that run differential and log backups on the primary (CAP). 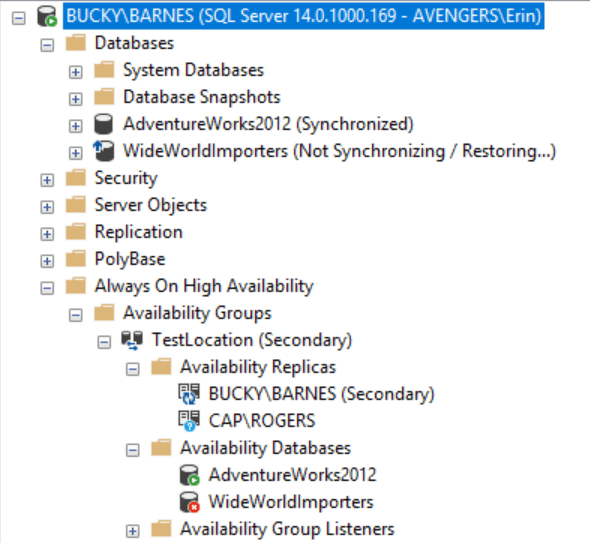 In the end, removing a database from a replica in an Availability Group (and then adding it back) is probably not something you will need to do on a regular basis. This is a process worth practicing in a test environment at least once, so you’re comfortable with it should the need arise. As a quick reminder, adding the CHECKSUM syntax to the backup command forces SQL Server to verify any existing page checksums as it reads pages for the backup, and it calculates a checksum over the entire backup. 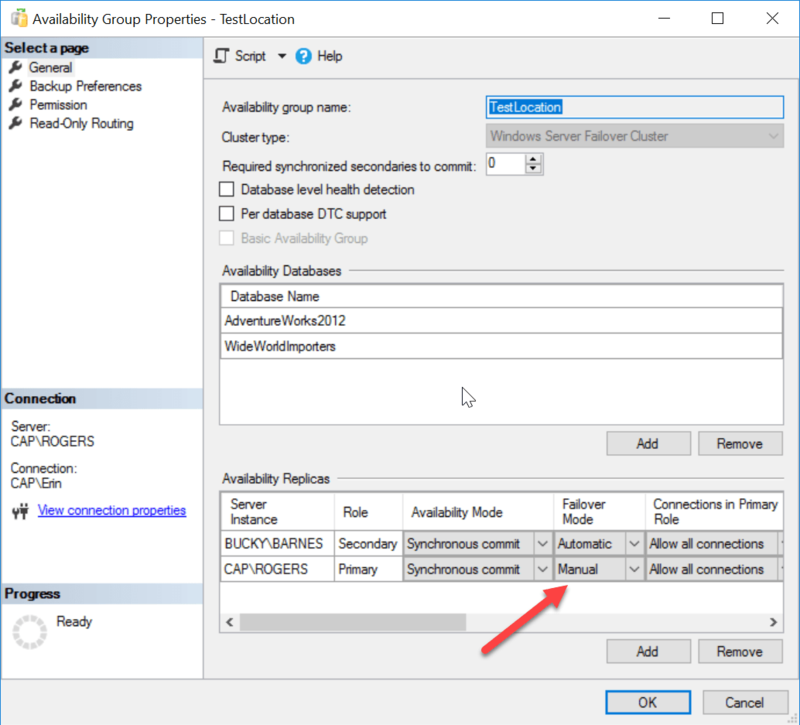 Remember that this does not replace CHECKDB (check out Paul’s post – A SQL Server DBA myth a day: (27/30) use BACKUP WITH CHECKSUM to replace DBCC CHECKDB – for more details). So what does this server option do? Well, since it’s not yet documented (I filed a Connect item here) I did some testing to confirm what I was expecting. 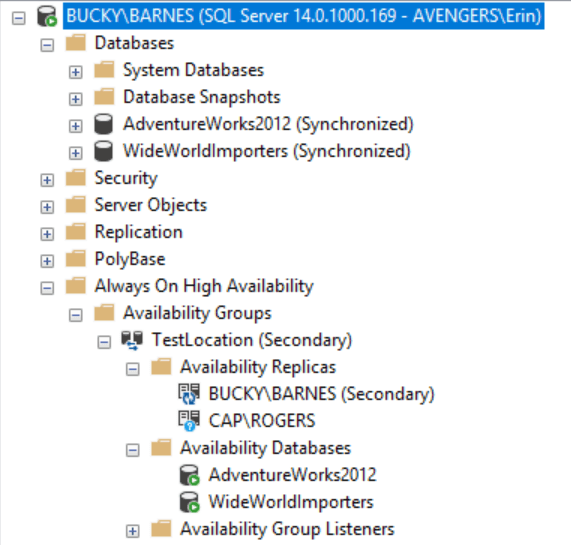 Check it out…with the server option enabled, I don’t have to include the CHECKSUM syntax to have SQL Server perform the backup checksum.